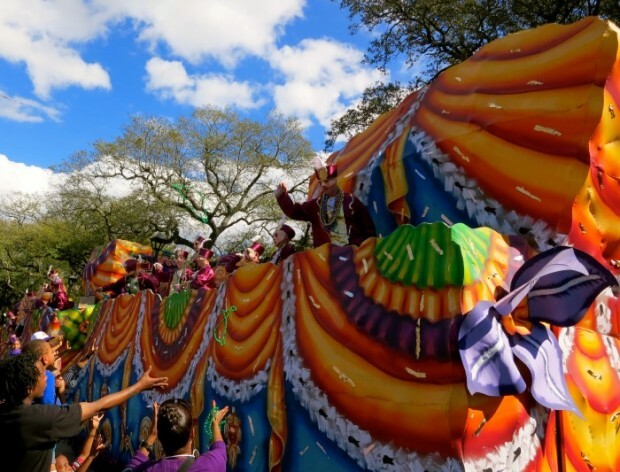 New Orleans: Hey Y’all, it’s Carnival–Laissez Le Bons Temps Roulé! Whether you’re buried in 10 feet of snow, or basking in more winter favorable climes, February is a great time to inject a bit of heat–New Orleans style– into your kitchen. 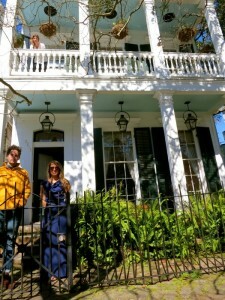 Here for my niece’s wedding, we’re spending a week in the Garden District, VRBOing a home built in the 1850’s with a front porch large enough to accommodate a family reunion. New Orleans is a country unto itself; a city of jubilant excess where less is never more; a city that suffers fools gladly, especially when they’re three sheets to the wind with a wad of ready green. And Mardi Gras is in the air. I’ve visited this city many times through the years. Every time the plane glides down the Louis Armstrong airport runway, I check my common sense—indeed, my brain—at the gate, allowing myself to be swept into the Bacchanalian vibe with abandon. A culture unto itself, New Orleans has its own brand of music, speech, worship, and certainly its own brand of cooking. It’s said that New Orleans is a city with thousands of restaurants and only one menu. That’s far from the reality, but if the statement holds a kernel of truth, oh what a menu the landscape has created. I made the following recipe before I left Ann Arbor, the ingredients a gift from Stephanie and Tom Teague, former Ann Arborites who now call Nola their home (lucky ducks). In a large heavy-bottomed pot or Dutch oven, heat oil over medium heat. Sauté onion two minutes then add garlic. Stir until just fragrant, about 45 seconds; don’t let garlic brown. Stir green pepper and celery and continue cooking until beginning to wilt, about 3-5 minutes, then stir in bay leaves, cayenne, thyme, basil and Cajun seasoning. Remove ham hock(s). When cool enough to handle, remove meat from bone, chop and return to pot. Slice andouille into 1/4-inch thick pieces and stir into the pot. Simmer until cooked through, 20-30 minutes. (Now is a good time to make the rice.) Serve over white rice. Pass the hot sauce. *To quick cook beans, place in a pot and pour water over beans to cover by 2 inches. Bring to a boil for 1 minutes. Remove from heat, cover, and let sit 1 hours. Rinse beans then use in recipe as directed. More Recipes Filed Under "Feed Your Party"